Glass washboards became commonplace during wartime. Glass washboards were popular during World War I and World War II due to a shortage of metal. The body was made of wood, but the scrubbing area was glass. Once the war ended metal became more readily available and companies began making metal washboards once again. There are records indicating glass washboards were still manufactured but did not hold up as well as the metal ones because of the glass breaking. 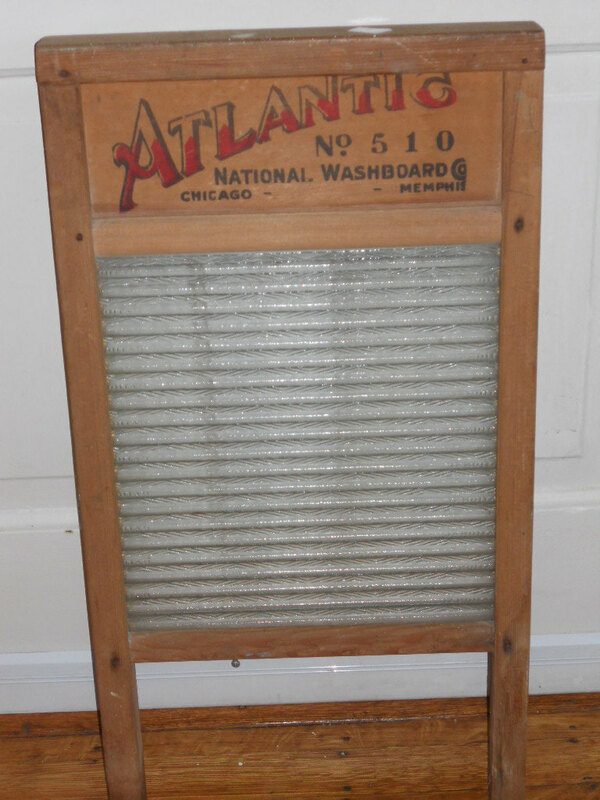 This was a common style washboard with a wooden frame. This would have been popular during war time due to the high demand of metal.